Dual G3X Touch, GTN650 (COM1), GTR 20 remote (COM2), GTX 35 remote, GMA245, GMC307, GAD27, G5 as backup flight instrument with battery, TCW backup battery for PFD, GTN and GEA24. Very nice Eric. I am always amazed at the quality of the European builds. The plan is to run as simple a panel as possible. All switches are Carling Contura Backlit and Laser etched by rockerswitchpros. Single Battery, Single Alternator with VPX Sport controlling the 12v electrical system. The G5 will have a battery backup as well as having an Ipad/Sentry combo for redundancy. The flap switch is a lit toggle switch as well as engine start. Every switch is lit and laser etched to do away with panel labels. I am hoping I can use the built in intercom of the GTR20 instead of a remote comm panel. Last edited by mountainride : 11-09-2018 at 07:14 AM. Have you checked if you have enough room behind the panel for the G5 and for its screws? Please keep us updated -E agerly following this! The plan is to run as simple a panel as possible. Also, be careful that the C-01404-L/R Support Flanges don't overlap any part of your panel devices when the canopy is closed. In the above picture, that's the gray part that on the top underneath the glareshield. As an example, I put dual 12.1" GRT HXr EFISs in my panel. They had to be aligned to the bottom of the panel so that the canopy could close. My steam ALT on the right actually just contacts the aft edge of the Close-Out when the canopy closes (if you look real closely, you can see a bit of white on the edge of the Close-Out which is where the paint was rubbed off and now exposes the primer). I see you're in Colorado. 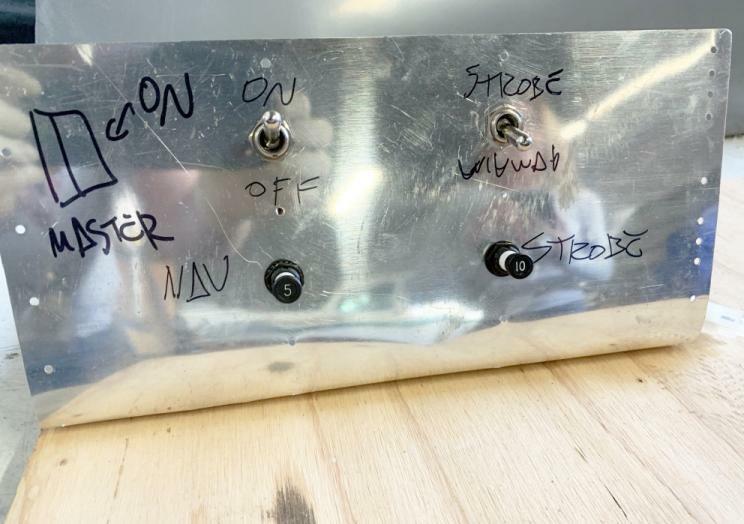 PM me if you'd like to take a look at my bird to get a better perspective on what you need to watch out for when placing instruments on the panel.